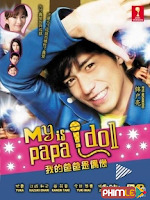 “AV Idol 2” is a Korea-Japan co-production. Synopsis The AV idols have moved to a farm village! Tokyo AV idol Yumi hides her past and marries Dae-soon, a Korean man. She’s become the wife of the head of youth and the one and only postman in the village. She’s the envy of everyone but only for a while. One day, AV movie makers visit Dae-soon’s village to make a movie and Yumi is afraid her identity will be revealed. Not knowing what the movie is about, the whole village sets out to help their visitors.